Hey babes! You may have remembered a few weeks ago, I put together a simple, sunkissed look using Victoria Jackson products. I still can't get over how dewy and gorgeous my skin looked. These products (especially the foundation duo) have been on repeat ever since. Now's your turn to try them out! 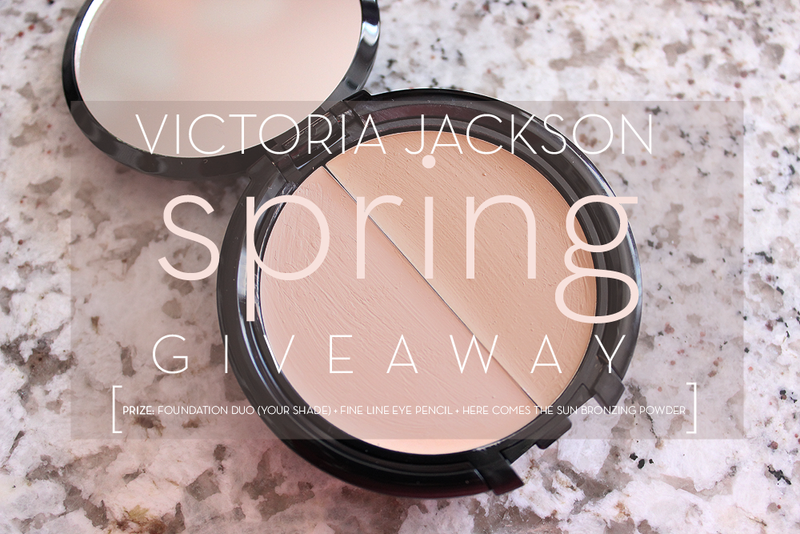 The gorgeous peeps over at Victoria Jackson are giving my beautiful readers the chance to win some VJ goodies of their own: the foundation duo (in your shade! ), the Fine Line Eye Pencil (in black), and the Here Comes the Sun Bronzing Powder - worth $67.90! Psst. Grab some VJ goodies now using my special promo code: LOVEJVC for 25% off!